Evergreen’s present complex of buildings is laid out in great detail, and in a very orderly arrangement to communicate order in an otherwise chaotic world. 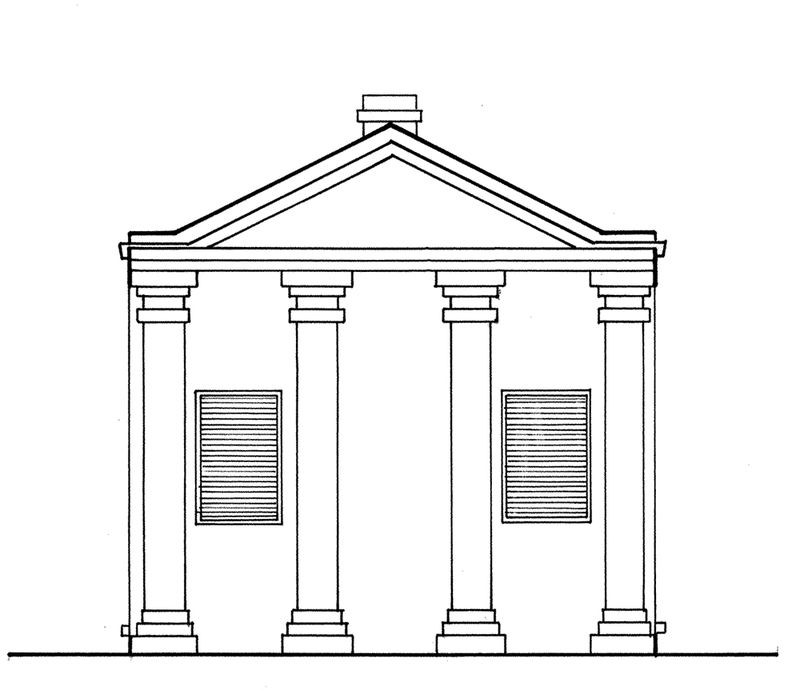 The complex is composed of the Manor House, two garçonnières, two pigeonniers, the kitchen, the domestic slave house, and on the axis with the main house (in classical arrangements the second most important building is placed here) is an unusual Greek Revival privy, designed to imitate a small Greek Temple, with all architectural elements correctly placed! 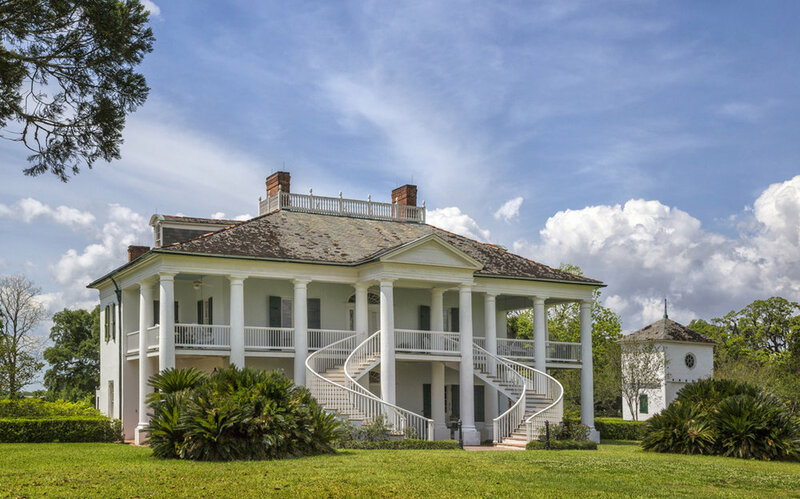 This neoclassical-style house with Federal accents began its existence as a two-story French Creole residence built in the early 1790’s by its first owner, Christophe Heidel. It was drastically remodeled in 1832 by Christophe’s great grandson, Pierre Clidamant Becnel, and then restored by Matilda Gray in 1944. The house was originally one story raised up on brick piers with the ground floor acting as a raised basement. The main floor is, and has always been, three rooms wide and one room deep with wide galleries front and back. 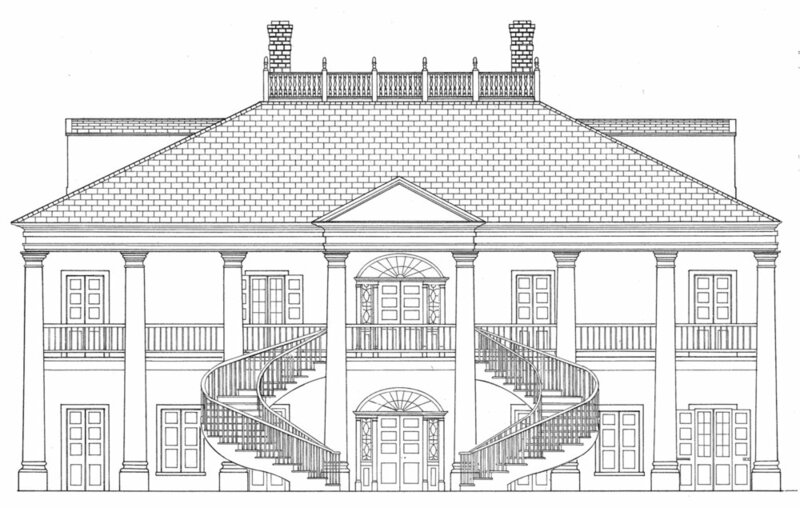 The double staircase on the front of the house was erected during the 1944 restoration by Ms. Matilda Gray, using the original 1832 building contract as a guide. The plantation kitchen (on the upriver back side of the Manor) is possibly older than the 1832 remodel. The kitchen was detached from the main house because of the fear of fires. This kitchen fed only the owners of the plantation. The domestic slave house (on the downriver back side of the Manor) was identical to the kitchen on its exterior. It is the same size as the cabins in the Quarters Village. Only one family would have lived in the domestic slave house. The other domestic slaves either lived in houses in the main complex that no longer exist or were part of family units living in the Quarters Village. 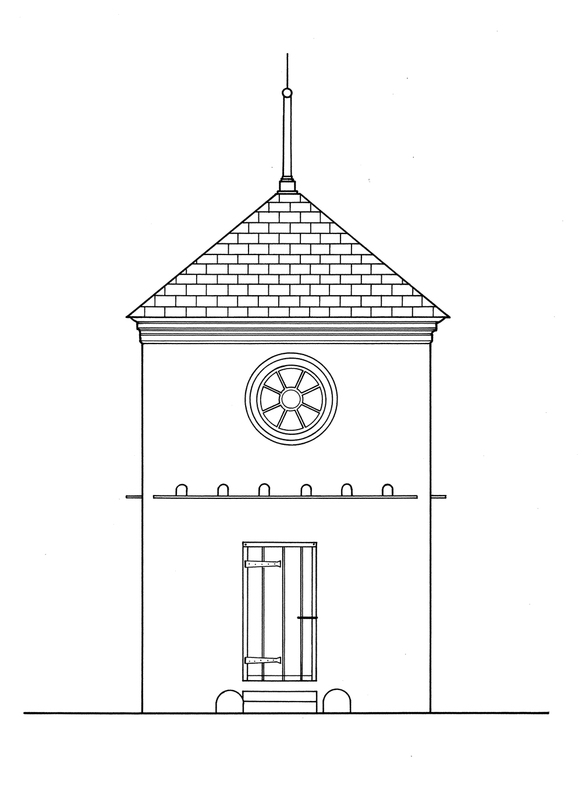 The small square two-story buildings on each side of the manor house are called pigeonniers. They housed pigeons that were used for meat, eggs, and fertilizer. Their most important function was that of a garden form. Pigeonniers were signs of affluence in eighteenth-century France. 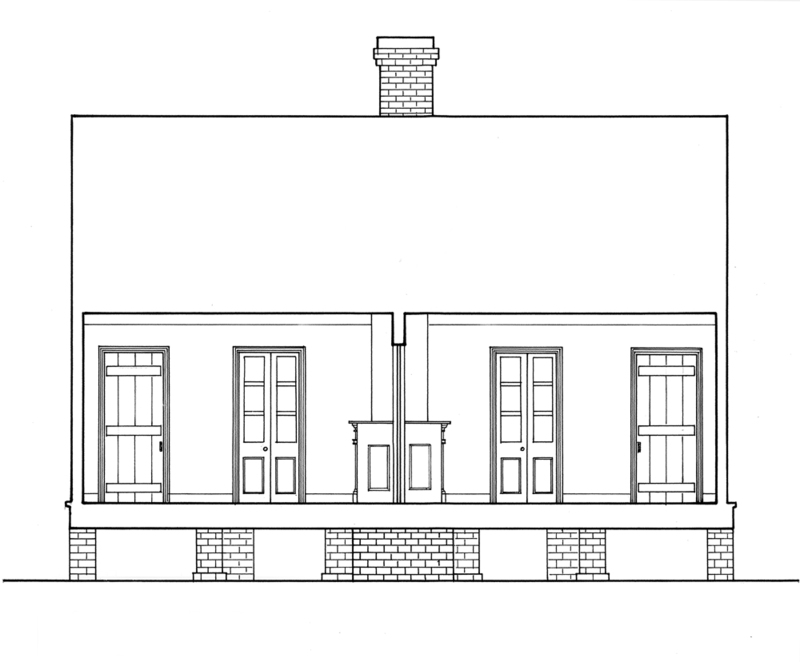 These buildings were traditionally used to house the young males of the plantation families of French Creole Louisiana. Each has two bedrooms raising the number of bedrooms in the family complex. The girls slept inside the manor house with their parents. Click this photo to explore the evolution of Evergreen’s manor house.